The opioid crisis is having a devastating impact on individuals and communities across North America. 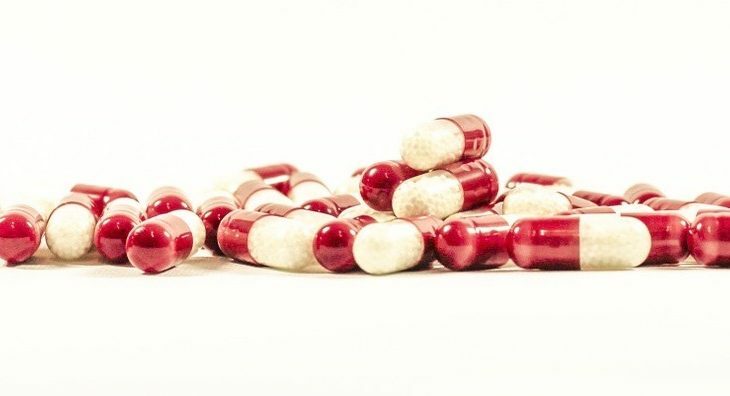 The problem can be traced back to the late 1990s, when pharmaceutical companies began to market the drugs as a non-addictive treatment for chronic pain. Opioids became over-prescribed, leading to widespread use and overuse. It only became clear later that the drugs were highly addictive. Since the early 1990s, the number of opiate prescriptions in the U.S. and Canada has risen dramatically. In that time, Canada has become the second-highest consumer of opiates per capita in the world. As prescription rates have risen, so have drug dependence and opioid-related overdoses from both prescription and illicit sources. In 2017, nearly 4,000 opioid-related deaths occurred across Canada — an increase of over 30% from the previous year. 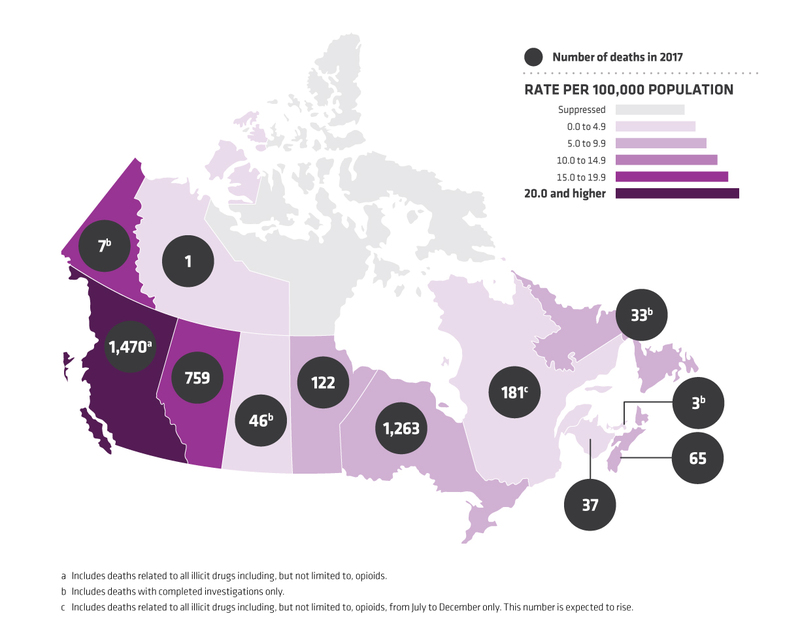 Ontario had the second-highest incidence of opioid-related deaths in Canada in 2017 and was only marginally behind British Columbia, which declared a state of emergency in 2016 due to the rising number of deaths from opioid overdose. A large majority of these overdose deaths involved fentanyl — a synthetic opioid that can be 100 times more potent than conventional opioid pain relievers. Fentanyl is often mixed into other drugs without the user’s knowledge, resulting in even more drug-related deaths each year. The crisis has put a strain on the country’s healthcare system. Between 2016 and 2017, there was an average of 16 hospitalizations per day due to opioid overdose. Life expectancy in British Columbia has also decreased due to drug use, according to a recent report by Canada’s chief public health officer Dr. Theresa Tam. Citizens across the country are looking for answers and for a governmental response to this pressing issue. Conferences and talks are being held throughout Canada to discuss the crisis — including an expert panel, which met on October 20 at Western University in London, Ontario to discuss how opioids are adversely affecting Canadian communities. As the social, economic, and health impacts of the crisis mount, options for drug policy reform and new ways to treat addiction are being explored. In 2003, North America’s first safe drug injection space opened in Vancouver. Since then, similar sites have opened across Canada with more cities campaigning for safe drug spaces. The spaces provide supervised drug consumption and promote harm reduction by offering clients resources for addiction recovery and treatment. 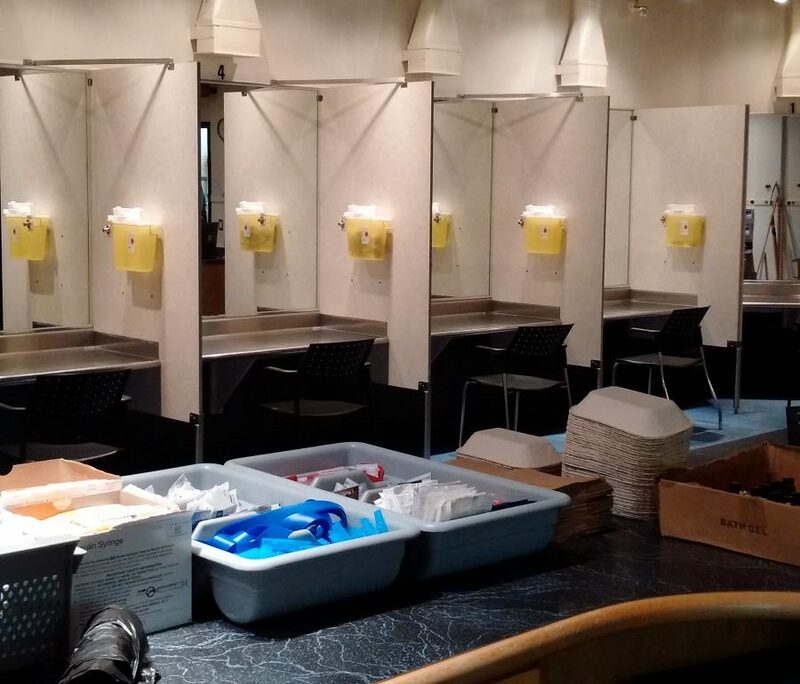 Since Vancouver’s safe injection space, Insite, opened in 2003, it has served more than 3.6 million people. In that time, the facility’s trained staff has responded to over 6,000 overdoses without a single death. There are no safe injection sites currently operating in the U.S., although several cities have been seriously discussing the issue. Currently, programs like Insiteare supported by provincial funding, but maintaining public support has been a struggle. Some Canadians have expressed concerns about their tax dollars being used to support illicit drug use, but the results have shown only positive societal and public health impacts and no increase in drug consumption. Barriers are also popping up in other Canadian provinces. In Ontario, new legislation will limit the number of safe injection sites to 21 — meaning smaller communities may not have access to services that they desperately need. Existing sites will also have to re-apply for permanent status and funding under this new strategy. Some government and health officials have also proposed drug decriminalization. Drug prohibition creates a black market, limiting the control governments have over the source and purity of substances. This makes users more susceptible to supplies with harmful additives like fentanyl. Criminalizing drugs also creates a stigma around drug use, making at-risk users less willing to seek help and resources to treat their addiction. Opponents to decriminalization feel that this will encourage rather than reduce drug-use. However, evidence from several European countries contradicts this idea. For example, in 2001, Portugal opted to decriminalize the consumption of illicit drugs and possession of small quantities for personal use. Instead, those caught with personal supplies were placed into programs to help with treatment, education, and recovery. Legal and health officials felt that past methods of marginalizing drug users were only worsening the problem. The new, more health-centred approach, which continues to this day, focuses on public awareness and harm reduction — and has lowered the stigma around drug-use in the country. Since introducing the policy, drug-related deaths in Portugal have fallen well below the European average. Drug use has also declined in young people, who are especially prone to problems with substance use. Rates of HIV have declined, along with lifetime drug use. Needle exchange programs also saw less demand for first-time treatment in heroin clinics. Of course, the success of the program wasn’t solely due to the decriminalization of drugs. Just as important were the added resources put into prevention, education, treatment, and reintegration programs. Portugal’s success didn’t go unnoticed. Other European countries have followed suit — the Norwegian Parliament recently passed a plan to decriminalize drug use, providing comparable education and treatment services to those adopted by Portugal in an effort to treat drug addiction as an illness rather than a crime. In 2012, Germany developed a National Strategy on Drug and Addiction The policy is designed to focus on the prevention and treatment of drug use, and measures for harm reduction; the country has also declared that it is not a crime to possess small amounts of narcotics for personal use. And Canada is also exploring this option. In June, Dr. Eileen de Villa, Medical Officer of Health in Toronto, recommended that the Toronto’s Board of Health urge the federal government to decriminalize all drugs for personal use. The proposal supports a public health approach to drug issues rather than criminal punishment, noting that the “War on Drugs” that’s been ongoing since the 1970s has not discouraged drug use — people who want them can still find them. Although drug policy reforms and safe injection sites have been met with some controversy, one thing is clear—the current response to the opioid crisis in North America isn’t enough. Decriminalization and safe spaces like Insite are showing some positive results. Looking at how these programs have worked in other countries may help Canada develop its own approach to this pressing healthcare issue. Biology and Life Sciences, Chemistry, Health, Medicine, and Veterinary Science, Policy and Politics, Science in Society Braydon Black, decriminalize, fentanyl, Insite, legislation, Needle exchange programs, opioid crisis, public health approach, safe drug injection space, Toronto Board of Health, Vancouver, War on Drugs. permalink.